Want a burrito Super Bowl weekend? You won't have to leave the couch to get it. NEW YORK (CNNMoney) - Chipotle and its delivery partner Postmates are offering free delivery on burritos and other Mexican favorites during Super Bowl weekend. The offer is valid in 40 cities where Postmates operates, including Philadelphia and Boston. Enter the code "chipotlebowl" on the Postmates site or app to take advantage of the free delivery. Postmates normally delivers Chipotle for a flat rate of $5.99. A Chipotle burrito or a bowl, a salad, or order of tacos starts at $8.65, with the final price depending on the protein option a customer chooses. Postmates is one of Chipotle's two delivery partners. The other, Tapingo, specializes in college campuses. Chipotle has been working to win back customers after a series of food safety scares began to plague the company in 2015. Just last summer, sick employees at a Virginia Chipotle location caused an outbreak of norovirus that made several customers sick. The company has tried various promotions, including introducing new products like queso and chorizo, to win back loyalty. Still, the company has struggled to regain its reputation. 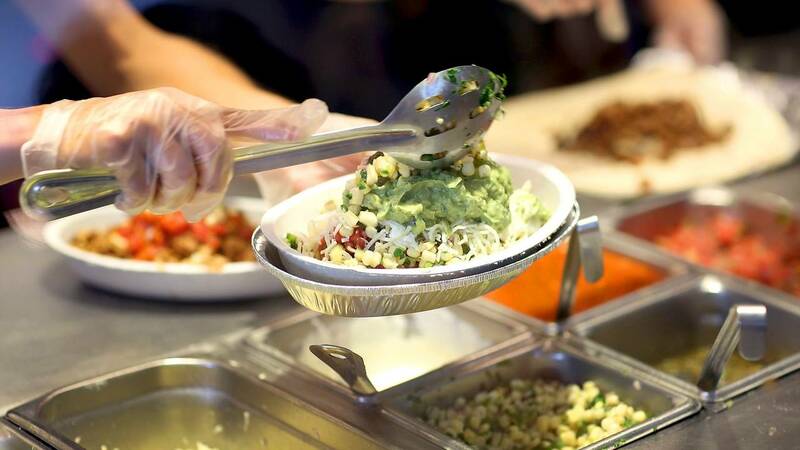 In October 2015, before its first food safety incident was reported, shares of Chipotle were trading for $724. Today, a share is worth $325.